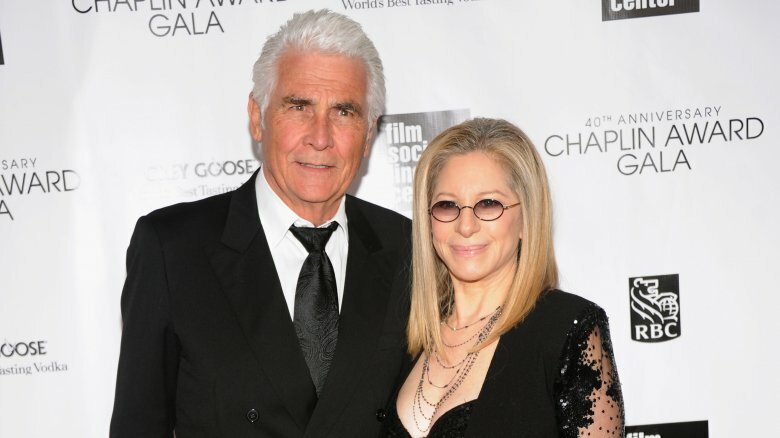 Pop culture icon Barbra Streisand and Hollywood heavyweight James Brolin make up one of the entertainment industry's longest-lasting power couples. With a career spanning well over half a century, the Funny Girl star has a prolific output as an actress, singer-songwriter, and director, and is one of only two performers to have won the coveted PEGOT (Peabody, Emmy, Grammy, Oscar, and Tony awards). Meanwhile, Brolin's an Emmy and Golden Globe winner who's enjoyed an esteemed acting career of his own since the 1960s, and is best known for his on-screen appearances in The Amityville Horror, Capricorn One, and CBS's Life In Pieces. These two have essentially been killing it in their careers for longer than most of us have been alive, and they seem to share a perfect relationship to boot — but that doesn't mean that certain quirks in their longtime romance haven't raised a few eyebrows over the years. So, how much do you really know about this charming pair? 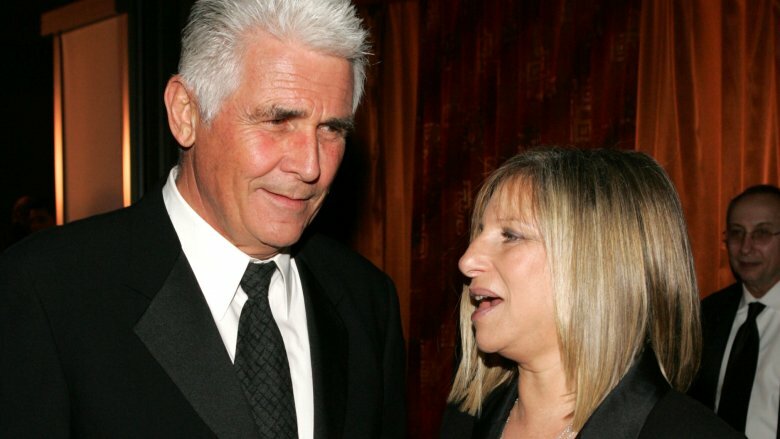 Here are some of the stranger facts about Streisand and Brolin's marriage. Streisand and Brolin's real-life meet-cute was on July 1, 1996, when the two were set up on a blind date (via Good Housekeeping). While the sparks immediately flew, they didn't fall in love at the same time. The actress told W magazine in 2016, "I met him at a dinner and expected a bearded mountain-man type, and he had cut off all his hair and was clean-shaven. I asked him, 'Who screwed up your hair?'" Luckily, her future husband didn't take offense. She shared, "He later told me that's when he fell in love with me. My fella likes to hear the truth, which is unusual." While it took the Yentl star "a couple of months" to know whether Brolin was "The One," she revealed on The Meredith Vieira Show that his culinary skills helped. "He charmed me when he was courting me … He told me he could cook, and since I can't, I thought, 'Wow! This is a catch,' you know?" Streisand told the host. While she noted that Brolin won her over by making sushi, her favorite, she quipped, "He has never cooked again." Still, as they say, the rest is history. "You're still holding hands," Vieira noted, to which Streisand said, "Yes, we are!" 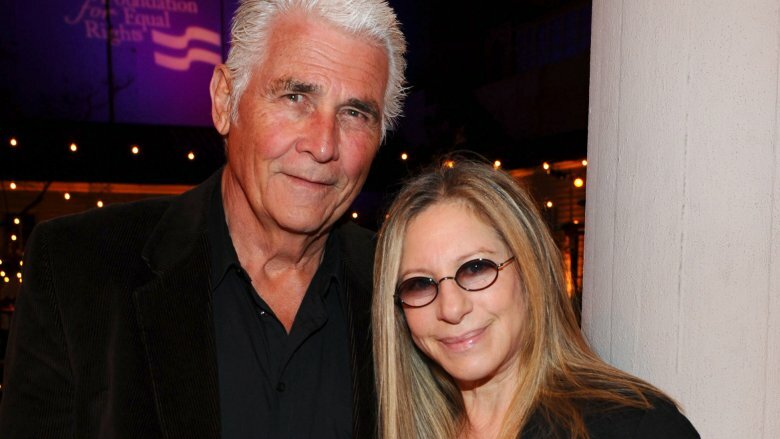 Having spent most of their lives working in showbiz, Streisand and Brolin have understandably kept their romance largely out of the spotlight since tying the knot on the two-year anniversary of their first date. With their wedding day kept on a strictly need-to-know basis, the Way We Were star reportedly blasted "loud jungle noises" and "bad rock 'n' roll music" outside their tented ceremony in Malibu, Calif., as reported by the New York Daily News, so the press couldn't hear their personalized vows. 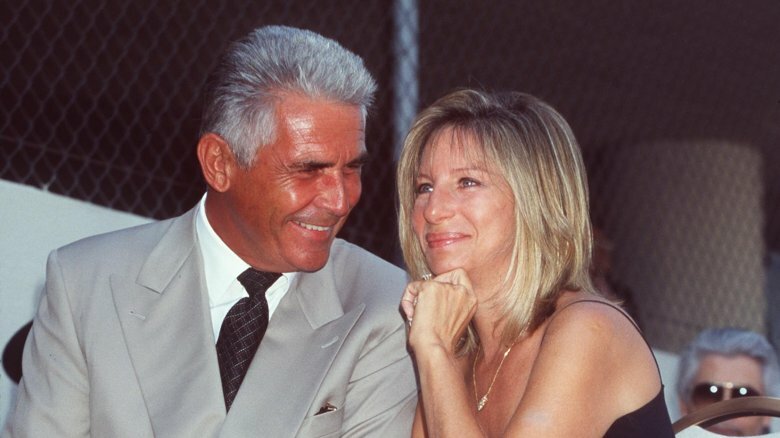 Streisand told People magazine at the time, "We wanted to be surrounded by people we've loved for a long time." These two have also sometimes gone to equally great lengths to avoid prying paparazzi cameras on date nights. "If we go into town or the obvious spots, they're there," Brolin told Parade in 2010. "And if we don't look in the rearview mirror, they'll tail us. They're like rats. So we'll drive in the other direction." He added, "We go out where nobody goes. There are great restaurants; there are a lot of movie theaters, so we can have a night out in an area where nobody cares." 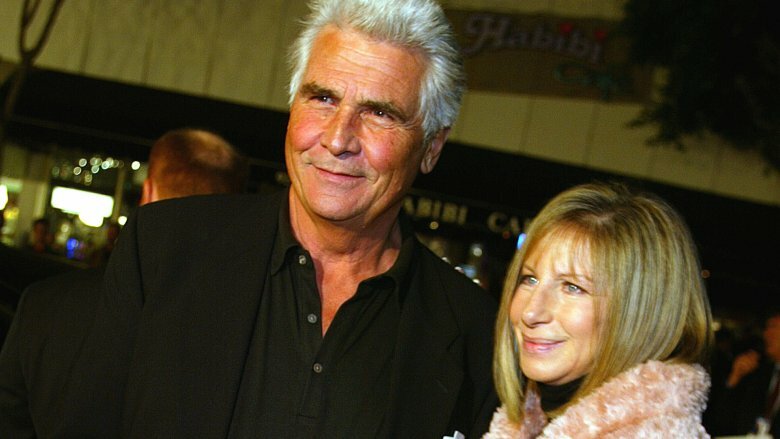 Since Streisand and Brolin were unlucky in love before getting together, neither was necessarily expecting to meet the love of their lives well into their 50s. As the "Evergreen" songstress told People, "Without being in despair, I was finally liking my solitude." However, with experience and three failed marriages between them comes wisdom … and regular couples counseling sessions. "I do believe in counseling if anybody ever has a problem in their marriage," Brolin, whose former wives include Jane Cameron Agee and Jan Smithers, told Entertainment Tonight in 2018. "Bring in a referee, talk it over, and I swear to you, it will dispel by the end of the session, each time!" Still, staying on the same page and maintaining their marital happiness isn't always easy. As the Hello, Dolly! star, who split from actor Elliott Gould in 1971, said, as reported by Closer Weekly, "My husband and I work on our marriage every day." She added, "You know, opposites attract. You can't have perfection … perfection is imperfection! When you love each other, you have to accept each other's flaws as well as gifts." As revealed in Streisand's 2010 book, My Passion for Design, the couple's Malibu estate famously contains a basement mall, complete with a vintage dress shop, frozen-yogurt stand, and a slightly creepy antique doll boutique. "Instead of just storing my things in the basement, I can make a street of shops and display them," Streisand told Harper's Bazaar in 2010. Whether this section of Streisand and Brolin's home is the stuff of dreams or nightmares is all in the eye of the beholder, but an impromptu visit to the "Don't Rain on My Parade" hitmaker's underground shops during an A-lister dinner party was everything to pop star Lady Gaga and Glee creator Ryan Murphy. "After dinner, [Streisand] said, 'Do you want to see the mall?' And Gaga and I were out of that chair so fast," Murphy recalled to Vulture in 2015. "We went down to the mall and spent an hour down there. She pulled out her collection of gowns from Funny Girl and Hello, Dolly! And then she said, 'Do you want frozen yogurt?' I could write a whole book about that night." Both Streisand and Brolin were already parents to adult children from their previous marriages when they got together later in life. 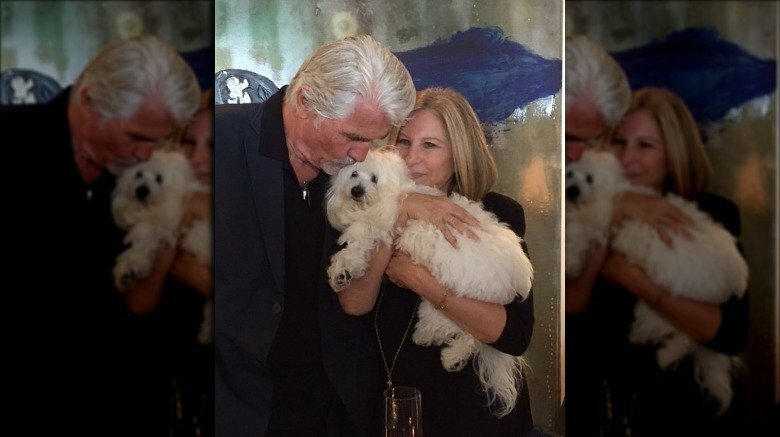 So, the couple's three Coton de Tulear puppies, two of whom were famously cloned from the A Star Is Born actress' late dog, Samantha, are essentially their kids. Samantha sadly died in 2017. "I was so devastated by the loss of my dear Samantha, after 14 years together, that I just wanted to keep her with me in some way," Streisand later wrote in The New York Times. She added, "You can clone the look of a dog, but you can't clone the soul. Still, every time I look at their faces, I think of my Samantha … and smile." In 2018, the multi-hyphenate told The New Yorker that Samantha "was like a daughter" to her. About to become a grandmother for the first time — her son-in-law, Avengers: Infinity War star Josh Brolin, welcomed a baby girl that November — Streisand said, "I like being in real life, and I love my garden and my dogs and my husband and my son and my widening family." 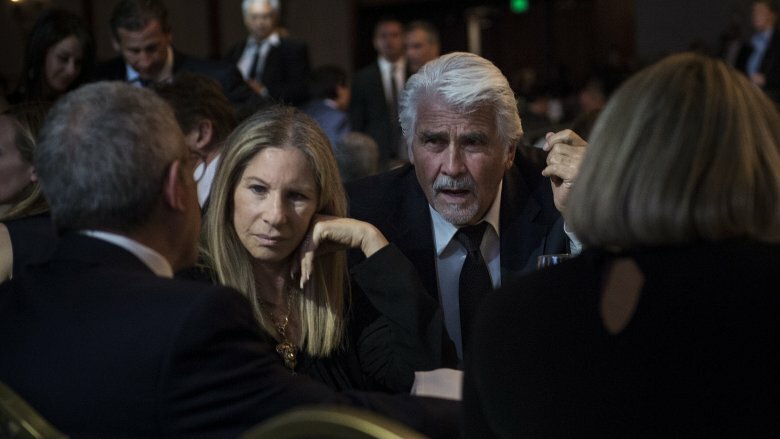 James Brolin is a massive film and television star in his own right, but with a wife as ingrained in the pop cultural zeitgeist as the Barbra Streisand, the actor acquired the nickname "Mr. Barbra Streisand" the moment he said, "I do." However, the leading lady in his life apparently isn't very amused by the moniker. "Barbra finds it very disrespectful," a source told Life & Style in 2017. According to the report, a man working construction at the married pair's Malibu home reportedly made the mistake of using the nickname when referring to Brolin, and the actress-singer "went off on the guy." The insider noted, "She got really riled up and let him have it." Streisand supposedly went on to complain to the company itself about the alleged incident in a lengthy email before cutting ties with the construction business altogether. Yikes! Luckily, it sounds like Brolin himself wasn't too bothered by the reported faux pas, as the source claimed, "He didn't seem to care," adding, "He just chuckled." While Streisand and Brolin seem to have unlocked the key to a successful relationship, it might not be what you're expecting. "We've bifurcated, and I love it that way," Brolin told HuffPost Live in 2015, revealing that he and the missus keep separate bank accounts. "I have my own money and she has her own money." Noting that he's on marriage no. 3, the movie star explained, "I know what trouble can come out of marriage, so I didn't want any reason that I would ever have to be either divorced or married again." He added, "We've been in heaven for 20 years, so it works." Practical marital advice aside, there's a lot more that goes into making this long-lasting marriage work, including spending quality time together and putting family first. As Brolin told Closer Weekly in 2013, "[Barbra] and I do everything together. It's kind of great!" Streisand later told People magazine, "You really have to pay attention to the other person and have kindness in your heart." Okay, is anyone else taking down notes? Any readers who are hoping for a Streisand-Brolin collaboration on screen might have some more waiting to do, as these two surprisingly have yet to act together in any official capacity. "[We've] read many scripts together," Brolin told Closer Weekly in 2018, but he jokingly noted that they always end up wondering the same thing: "Do you think we could do it without killing each other?" Strangely enough, what makes their relationship work may be the exact reason why they haven't collaborated. "I'm easygoing, but I'm very opinionated. And she likes to control everything," the actor explained, adding, "I'm laconic and never get anything done. But she'll zero in on one thing after the other, so that's what makes ours a great marriage." However, that doesn't mean that working together is completely out of the question. As Brolin previously told Parade, "We always had it in our minds, so you never know." 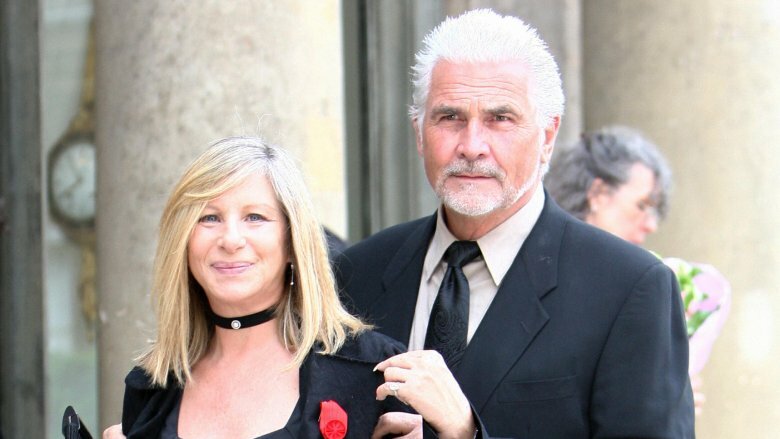 According to the rumor mill, Barbra Streisand and James Brolin have been on the verge of calling it quits for years. Throughout 2018 alone, this longtime couple was hit with a number of nasty divorce rumors. "People are convinced their wacky ways mean they've hit a rough patch," a source told the National Enquirer that April, claiming that their "strange hobbies" were "driving a major wedge between them" and that "divorce is around the corner unless they start living a less erratic lifestyle." Months later, another insider told Star magazine that the celeb pairing had been "bickering nonstop" over financing renovations on their home (via Gossip Cop). Luckily, it sounds like this hearsay couldn't be further from the truth, as a rep for Streisand told Gossip Cop that she and Brolin had "never been happier." As Streisand herself previously advised on The Meredith Vieira Show, people shouldn't always believe what they "read in those silly things." She recalled during her appearance, "Oh my God, we were in the supermarket a few weeks ago, actually. And we were holding hands … and a guy behind us said, 'I'm so glad to see you back together.' I said, 'Really? When did we go apart?'" She added, "He must have read those supermarket tabloids." 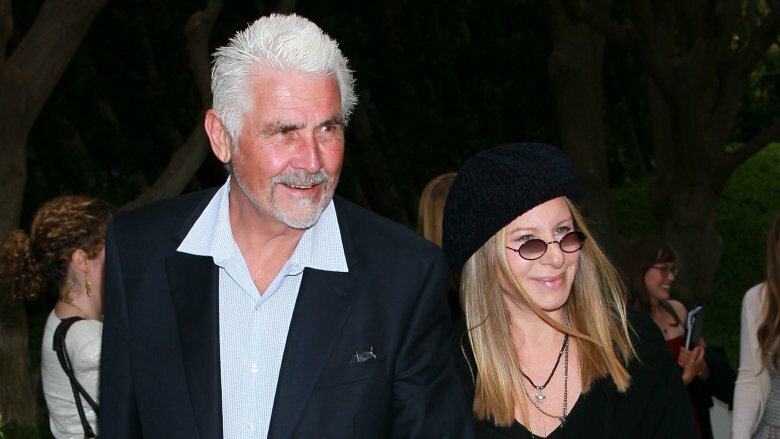 Barbra Streisand and James Brolin's romance may have its fair share of oddities, but these two are clearly relationship goals. Over two decades into their marriage, this Hollywood power couple is closer and stronger than ever. 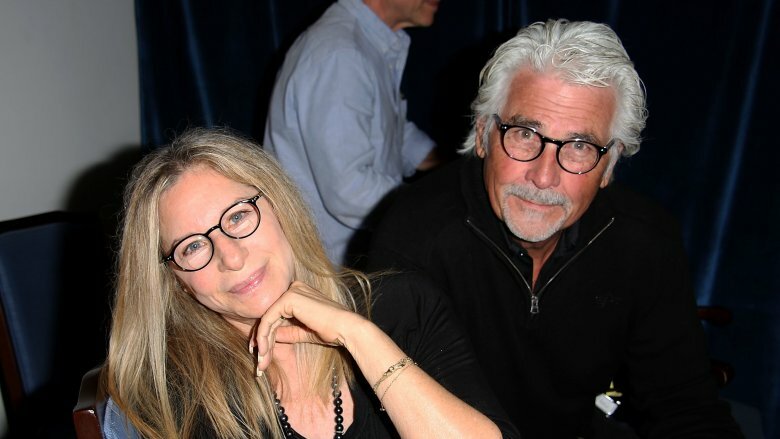 As neither shows any signs of slowing down in their respective careers, Streisand and Brolin have continued to prioritize their longtime romance, and they are known to gush about one another to the press and on social media. "We both long to come home to see each other and yet we both love to be in the mix of things at our age," Brolin told Fox News in 2018. "We should be retired and on rocking chairs. But she is so intent on what she's doing. As for me, I'm busy all the time. But we come home to each other." That same year, he'd told Entertainment Tonight, "I always get notes, 'Hurry home!' When I get there, there's always something kind of great waiting for me, some plan, and I try to reciprocate." 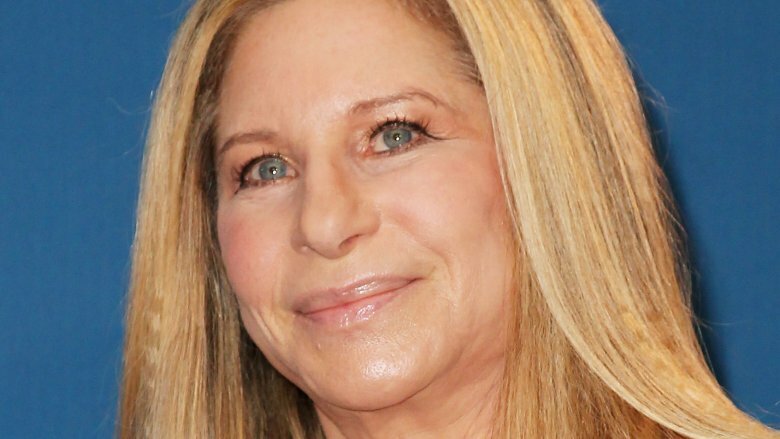 For her part, Streisand took to Instagram to celebrate their milestone anniversary in July 2018 with a heartfelt message. "Has it really been 22 years since our blind date @jamesbrolin_?" she captioned a cute snapshot of the duo. "Married for 20 years. Happy anniversary honey. Bee. X." Seriously, how sweet are these two?